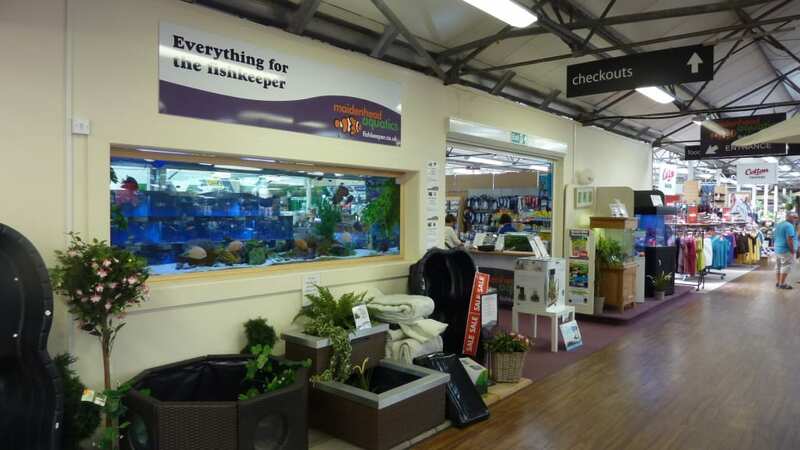 Located in High Legh garden centre, the Knutsford branch of Maidenhead Aquatics fish store chain is a compact store however caters for many different types of aquarist. 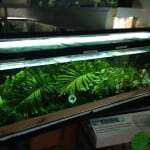 Although as I say, Knutsford is a compact store, there is still a good range of everything you might need with half the store being dry goods including food, accessories, hardware and some aquariums. 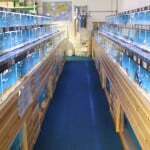 The other half of the store includes 3 banks of tanks which includes marine fish too. 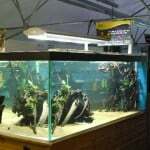 The store does have a good range of L-number plecos considering the size of it, not to mention Corys and Characins. 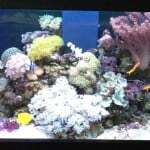 There is a very impressive display aquarium at Knutsford Maidenhead Aquatics, which at the time of visiting had a massive 2 foot long Mbu Puffer as the king of the tank. 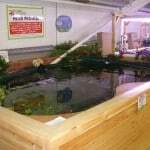 This tank makes great use of it’s location and forms part of the wall on the entrance to the store and so can be seen for a long way round form within in the garden centre too. 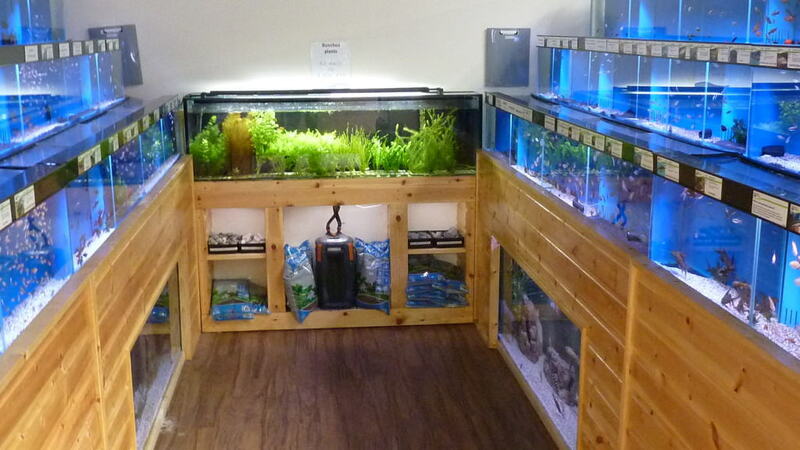 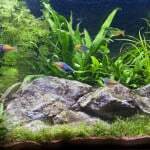 This display tank is well worth the visit alone and will not disappoint in any way, shape or form and contains some spectacular freshwater fish. 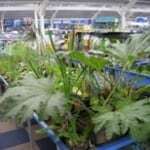 If you’re in the area I’d recommend popping in to the store to take a look.